Whether or not you celebrate a winter holiday, the years’ end is a perfect time to look back at the year-that-was and happily forward to the year-that-will-be. A time of renewal, celebration, and joy. This week, let’s set ourselves up for a happy new year: share a photo that shows us JOY. This weeks photo challenge asks us to share a photograph documenting a moment of joy. 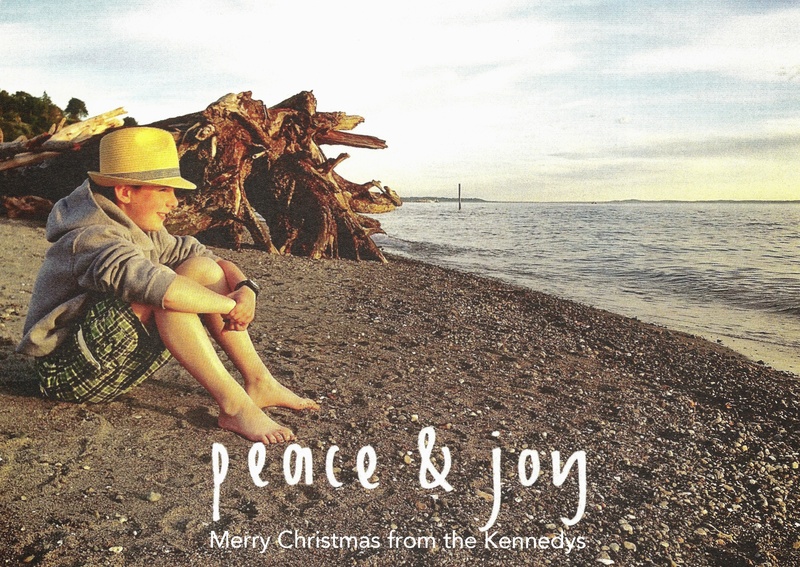 The practice of recognizing and remembering small joyful moments has been an important part of our year as a family and as a result the theme of our 2013 Christmas card expressed the same sentiment. I hope the message of peace and joy finds you all no matter how and when you celebrate your holidays and the transition to a new year. Happy 2014 everyone! so agree this is joy, totally bliss. It was a great moment and my favorite place to be. Echoing those wishes for a wonderful 2014. That’s a great take for the challenge! Best wishes! Thanks so much, I appreciate your comments and am really glad you like this one! Perfect image for the challenge and your words are sweetly poignant. Happy holidays. Thanks Sally, I wondered if I should use a summer photo for our holiday cards but now I’m happy we did. Lovely shot! Great hat and shorts! What an adorable smile too. Thanks Patricia, I think Ryan has a great sense of style. 🙂 It’s fun to watch what he picks as a favorite each season and this hat and short combo was the winner for summer. Happy New Year! Wishing you a wonderful 2014! Thanks Tahira, Happy New Year to you too! Thanks Annie. 🙂 All the best to you as well! I think this is the perfect photo for “Joy” =) I hope you have a wonderful New Year’s!! Awesome sweet shot ! Happy Holidays ! here’s to a wonderful 2014 to you as well. happy new year! Thank you for the well wishes! I hope 2014 is a fantastic one for you!